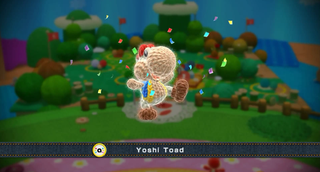 It didn’t take long for someone to try out the newly announced Amiibo functionality for Yoshi’s Wolly World. The French site Nintendo Master just posted this video showcasing an array of Yoshi costumes, from Bowser to Dedede and even the extremely rare Ike. My favorite so far has to be the Toad Yoshi, he looks so cute! Update: the video is back!